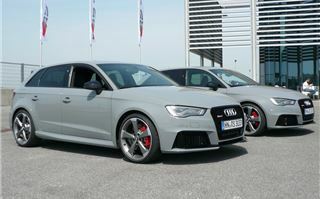 The 2015 Audi RS3 offers 367PS and 465Nm torque, propelling it to 60mph in just over 4 seconds and on to 174mph. Not bad for £39,995. 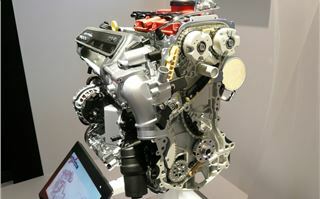 You can have any transmission you like as long as it’s a 7-speed twin wet clutch S tronic auto. And all four wheels share the job of getting that power and torque onto the tarmac. Audi is proud of its ‘Race Sports’ heritage, a programme that pushes the boundaries of what is possible from an engine and drivetrain. 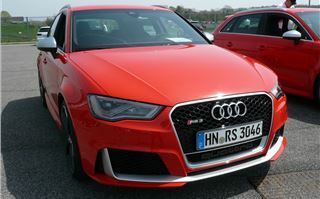 And Audi enthusiasts buy into it. 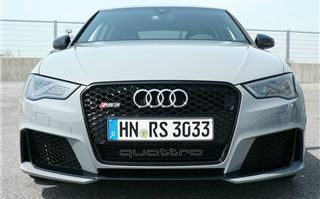 More than 15,000 Audi R and RS models were sold last year. Buyers love the power, the badging and the exclusivity it brings, on top of the undoubted status of driving an Audi. And in Britain they get that car at a preferential price. Our Dutch neighbours are asked to fork out 68,000 Euros for it, and that’s a lot more than £39,995. 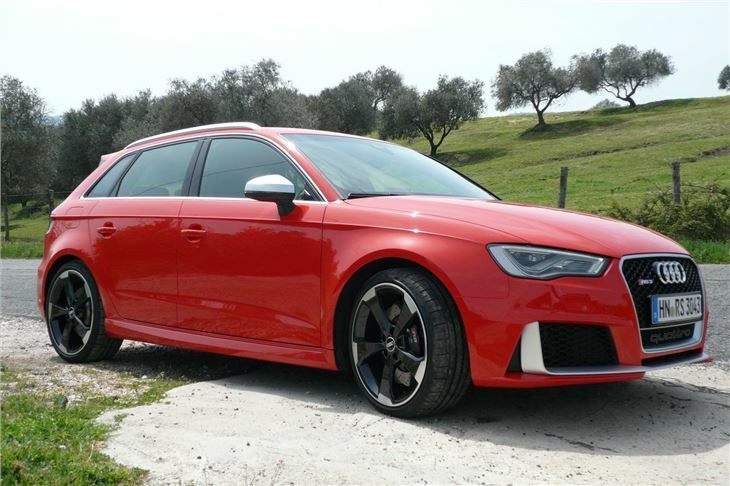 We drove the car on broken surfaced, bumpy, speed restricted Italian roads, and on the serpentine Vallelunga circuit, north of Rome. As a driver you have the option of selecting ‘comfort’, ‘automatic’, ‘dynamic’ and ‘individual’ driving modes. 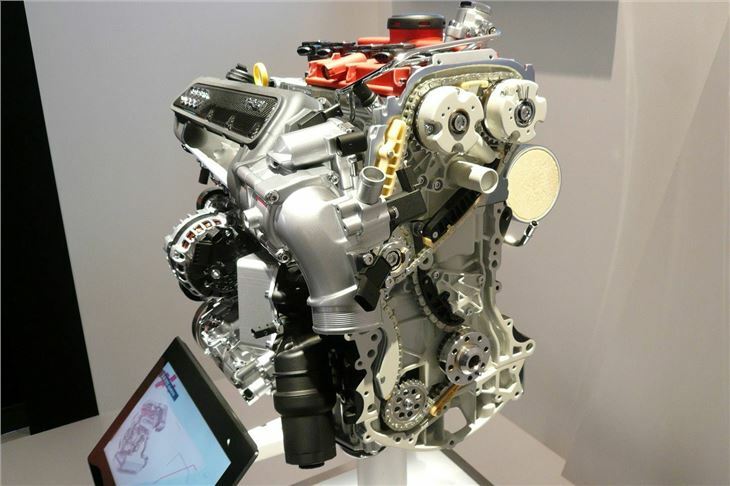 These all affect the response of the engine and steering and the damping. In ‘individual’ mode you can tailor them to your requirements, possibly choosing ‘comfort’ for the suspension, ‘dynamic’ for the steering and ‘automatic’ for the throttle response. ‘Comfort’ definitely ironed out the bumps on the Italian roads, while ‘dynamic’ transformed the responses to those of a sports car. You can also switch the ESP to ‘Sport’, which allows a mild amount of four wheel drifting, or switch it off altogether. 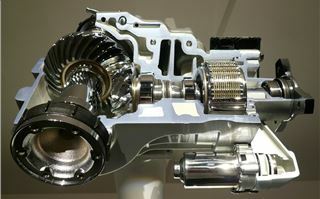 The Haldex multiplate clutch for the quattro 4WD system has been moved to the back axle for better weight distribution. And, very unusually, the car runs 255/30 R19 tyres on the front, but deeper profile, narrower 235/35 R19 tyres on the back. Obviously someone at Audi isn’t into left foot braking because both accelerator and brake are offset far right of the centreline of the steering wheel. It is possible to left-foot brake, of course, but it involves twisting your body and would not be comfortable for any great length of time. Let’s hope they correct this aberration for right hand drive. On the track the cars were set for ‘dynamic’ with ESP in ‘Sport’, which provided the right amount of fun without any hair-raising incidents. The paddle shifters worked okay most of the time, especially on upshifts, which were needed very quickly. Yet sometimes, if enough speed was not carried smoothly into the corner it would bog down a bit. Obviously a characteristic to get used to and carry more speed into the corners. Vallelunga is a very twisty circuit, but on the one straight we were getting into 5th and pulling 190kmh. The carbo-ceramic front brakes were brilliant, wiping off speed very rapidly with no drama and without fading after repeated hard applications. 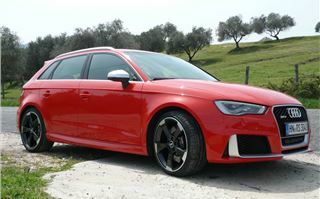 The rest of the car is standard Audi A3 Sportback. So there’s room for four and even five at a pinch. And everyone will appreciate the restrained style and sheer quality of the interior trim. 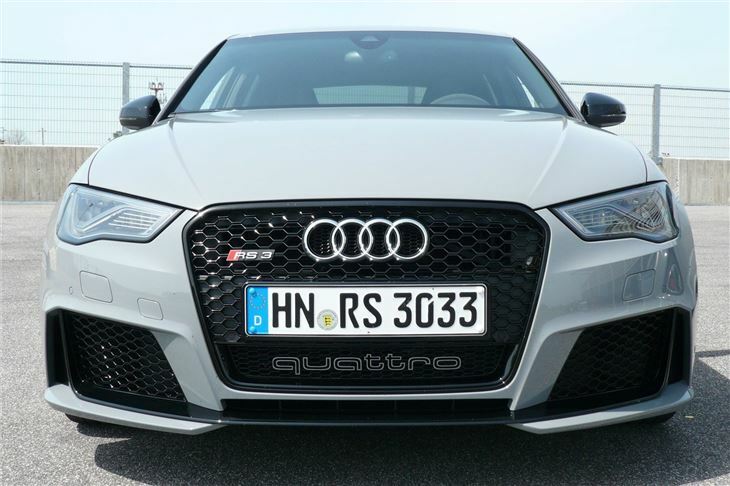 No one else does this quite like Audi. You don’t get everything as standard, though. Cruise control is extra. Satellite Navigation with Google Maps is extra. Audi Magnetic Ride is extra. 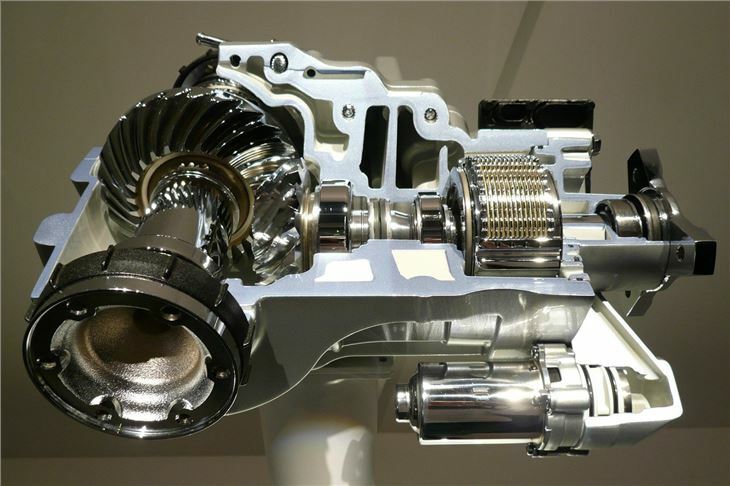 The system that opens flaps in the exhaust system for maximum noise is extra. It costs £1,000 to have the standard 155mph speed restrictor removed to give you the full 174mph. And if you’re going to take the car on track days, lightweight bucket seats and the fantastic carbo ceramic front brakes are extra. Reckon on about £4,000 for the carbo ceramics, and a wait until the last quarter of 2015 to get them. Do you want one? Should you order one? My newsagent has the previous model 340PS RS3, and her husband has a Golf R, so they’re both very obviously VAG enthusiasts. 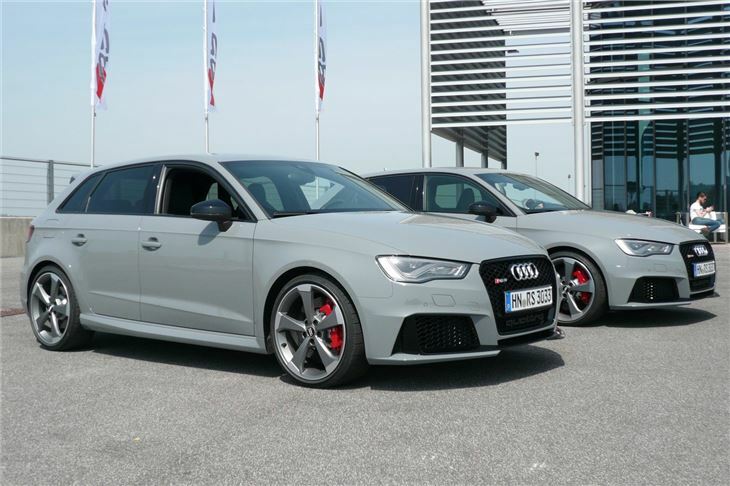 And it’s VAG enthusiasts who will not only buy this car, but take pride in speccing it up with the quilted or bucket seats, the carbo ceramic brakes and removal of the speed restrictor, on top of the satnav, cruise control and Audi Magnetic Ride. They’ll be looking at £50,000 plus for their cars. 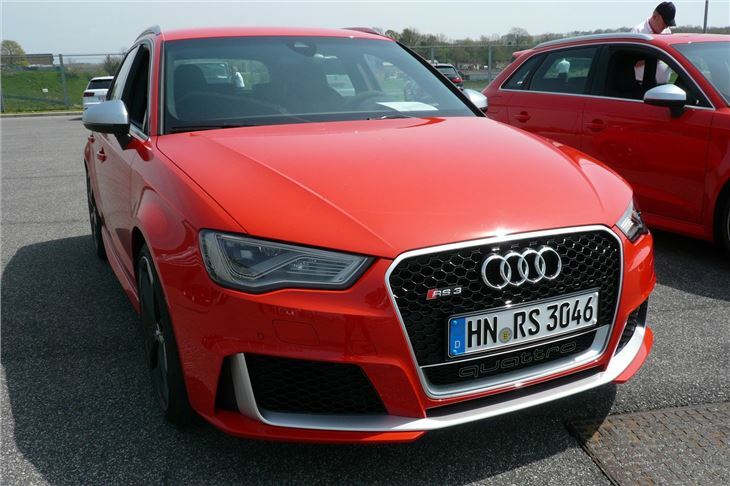 But they’ll have a car they can justifiably take pride in, that touches all the bases and that gives them explosive, near supercar performance in relative safety.